This drama has a lot going for it. Two incredibly attractive men vying for the affection of one ridiculous girl. Check! Indie rock music. Check! Behind the scenes of the business end of making dramas. Check! A hysterical disaster-inducing father. Check! Funny friends. Check, Check! Lots of piggy back rides and wrist grabbing… just tick off every box for “YES.” It has all the basics. And basic is what you get. A mildly enjoyable romantic drama. So there’s this guy, who is probably the reason you decided to watch this drama, right? Kim Jae-Wook, who plays the cool, collected, and confident president of a music company and heir to his stern father’s large company (and fortune). Kim Jae-Wook is an interesting actor because he does his best work when he’s playing someone in the throws of a full nervous breakdown. This isn’t Bad Guy, where’s he’s a screaming, weeping, atom bomb exploding all over place, taking out anyone within a thirty mile radius because they were unlucky enough to be around. Kim Jae-Wook didn’t get to take this role to the extreme, cause… remember… it’s a basic formula show. He’s just generic rich guy here. Nice, professional, decent suits. And as Mary’s only “expertise” is having opinions about dramas, she seems better off as the accessory attachment of a rock star than the life partner of a serious business mogul. Still, there’s enough tension in the love triangle to keep the stakes high for all involved. But let’s just say it. Mary, played by Moon Geun-Young, is a problematic character. She’s adorable, bumbling, loud, innocent, optimistic, and has the personality of a baby animal. Once you get past the “awww, she’s so cute!” part, you realize this creature is not potty trained yet and will most likely scratch up your nice furniture and puke on your keyboard. I found her very difficult to like and/or relate to. And I really wanted to like her. She’s so freakin’ cute and has those big eyes and that glorious mane of hair… but I never backed her struggles. Having a weak leading lady was hard to get over. Especially when we’re supposed to believe two extremely attractive and successful men are vying for her heart. Overall Rating – 6.5/10. For their hair alone. For me… it was all about Kim Jae-Wook. His character was so lovable. His shy, repressed personality… his manners… his persistence… his work ethic… his ability to read situations and resolve problems around him. I mean, the guy gave his fiance a freakin’ library as her first present. A library! And proceeded to fill all the books with little summaries and flirtations on Post It notes. Hundreds of books. Talk about grand gesture… who can resist that kind of romance? Mary. Dumb, dumb Mary. The second female lead was played by the beautiful, beautiful Kim Hyo-Jin. She plays an actress and spurned ex-lover of the rockstar. She had a cool back story and an interesting personality – I loved how she claimed her emotions, even when they were embarrassing or complicated. And though she looked fantastic with our dear President, I still didn’t think she measured up to his standards. Kim Jae-Wook’s character was just so… classy. No one deserved him in this show. I wanted to steal a character from another drama and have him marry her instead… maybe Jo Yoon-Hee from Nine Times Travel or Han Ji-Min from Padam Padam. Someone with a more personality. Not that Kim Jae-Wook’s character was beyond reproach. He lived under the thumb of his over bearing father, for one. But really… that’s about his only major flaw. 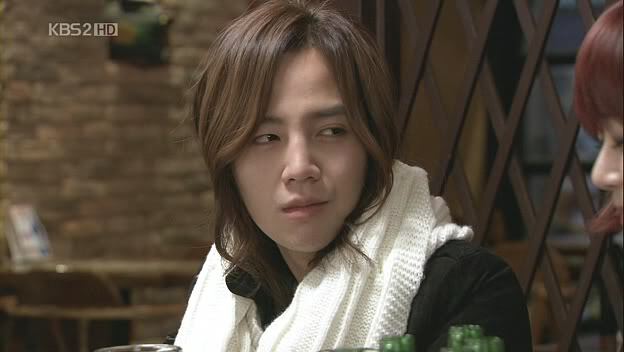 It’s not an easy task to steal the show from Jang Geun-Suk, but he did it. They also played some seriously competitive Hair Game. Both the male actors had amazing, beautiful hair (so did Mary, for that matter). The hair styles were so silky and yet never wavered from their positions. What kind of product are they using to make those curls stay so still without frizz? And Kim Jae-Wook’s amazing business style faux-hawk? Rocked my world. I know a lot of people were commenting on dramafever about how annoyed they were with the lead female’s father… but I loved him. He was hysterical. And his crazed personality brought life to the show in a way no other character (except the two female friends of Mary) were able to. I loved how he loved his daughter in a boisterous and casual way. I loved his facial expressions. I loved his immaturity and his sense (though misplaced, perhaps) of duty. I am always surprised how much power parents have over their children in Korean dramas. I work in an American high school, and I can say with certainty that is not the case here – not in reality or in our television shows. There is good and bad to both sides of the argument, but I personally love that aspect of Korean culture. Respect for elders. The differentiation between language, polite and informal. The bowing. Plot wise there wasn’t much discuss. I was pleasantly surprised by how they kept a simple love triangle interesting for sixteen episodes – I was never bored by this show and it kept momentum until the end. It was silly. It was fun. It was cute and romantic in a rather one-dimensional way… but that worked for the story. 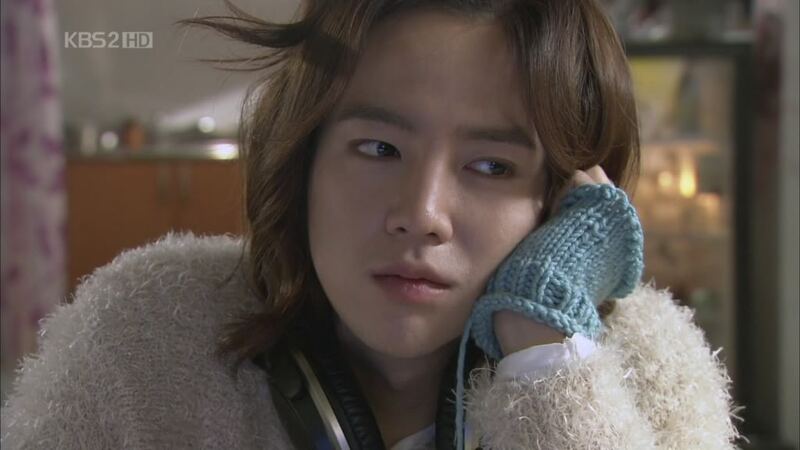 Check it out if you’re a fan of Jang Geun-Suk or Kim Jae-Wook… it’s worth watching.